Honor the anniversary of Pearl Harbor with this classic FTM episode from 2010 in which Patrick and Doug awake a sleeping giant. I've gone through the back catalogue, and listened to pretty much every FTM podcast on the A-Z list (many more than once), but never this one. I suppose the time has ccom. Do I have to watch the movie though? Patrick, you sound like a kid, especially toward the beginning of this ep. I assume you've been eating cigars since then? This episode is so much fun. I love the "Patrick & Doug joke around" episodes! 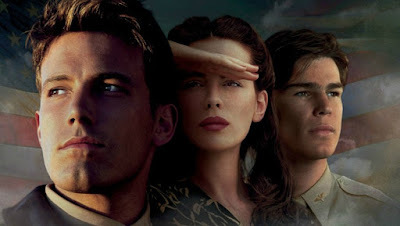 Am I the only one who feels if you view this flick through the lens of a summer blockbuster action/romance war movie based during pearl harbor than this becomes immensely watchable? Leaving behind your personal sensibilities and personal expectations of how war epics should frame themselves, I've always been entertained by pearl harbor. Ah ha! This is the podcast where we see the origin of Doug not liking Dawn of the Dead!